A fantastic, innovative film that’s also a huge leap forward in the Computer Screen Movie genre. Across the years and various computer screens, we see photos, videos, chatboxes, and schedules showing the family dynamic for the Kim household. We see Margot (Alex Jayne Go, then Megan Liu, then Kya Dawn Lau, and finally Michelle La) grow from an adorable child to a piano-playing teen with something hide. We watch her mother Pamela (Sara Sohn) go from energetic and loving mother to leukemia victim. And we see David (John Cho) deal with it all and have to attempt to be a decent single parent. Things seem to be going okay for David and Margot until one night she simply doesn’t come home. At first, David just thinks it’s a bit odd and confides in his brother Peter (Joseph Lee)… but when he starts learning more about Margot – her lack of friends, the fact she’s been ditching piano lessons for 6 months and keeping the money for them, her depressed sounding vlogs – the more worried he becomes. He calls the police and Detective Vick (Debra Messing) is assigned to his case. Together, they interview people Margot goes to school with and people she’s interacted with online. When they track her Venmo account and find her in traffic cameras, it looks like she may have simply run away from home… but something about that doesn’t add up for David and he continues his investigation to find out the truth about what his daughter’s been up to, who she’s been with, and where she is now. Even when everyone in the world suggests she’s either not coming back or may be dead, he never gives up hope for the search. Searching is, in a word, awesome! It has comedic moments, an intense “who dunnit” mystery, and what may be the best performance of John Cho’s 20+ year acting career. The story by relatively new writers Sev Ohanian and Aneesh Chaganty (who also directs) unfolds beautifully with twists at every turn and authentic emotion in the various reveals along the way. This whole “the movie all plays on a computer screen” is a rapidly increasing fad. Until now, it’s been restrained to fairly simple stories like Unfriended, Unfriended: Dark Web, and Windows, to name just a few. But Searching proves that in today’s world where technology is king and everyone is connected, it’s feasible to do it with more complex and moving stories as well. Admittedly, this movie cheated a little bit by zooming in on various parts of the screen at any given time to give us a clearer shot of the emotion someone’s conveying… much like a “normal” movie would. It’s a subtle cheat, but one that should still be pointed out as the other films mentioned show us the entire screen at all times without any zooms or isolating any specific areas of the screen. It’s actually a really smart movie the director made for this film, and I’ll be interested to see what future movies in the genre of Computer Screen Movies decide to do moving forward. Some actors fare much better than others (I wasn’t fond of Debra Messing’s performance and found her to be a bit stale), but overall it was a strong, believable film. The story was powerful enough and innovative enough for me to forgive a little flat acting. 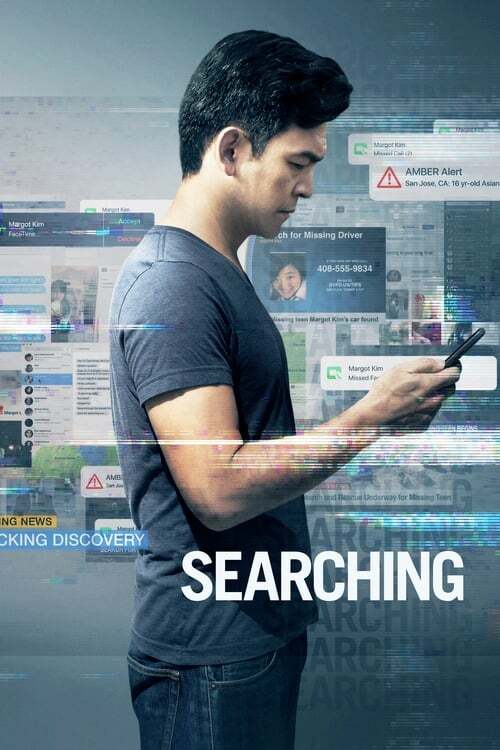 Apart from that I really have nothing else bad to say about Searching, and can’t really say much else without giving away some of the awesome twists that happen along the way. This is a fantastic, innovative film and simply a huge leap forward in the Computer Screen Movie genre.